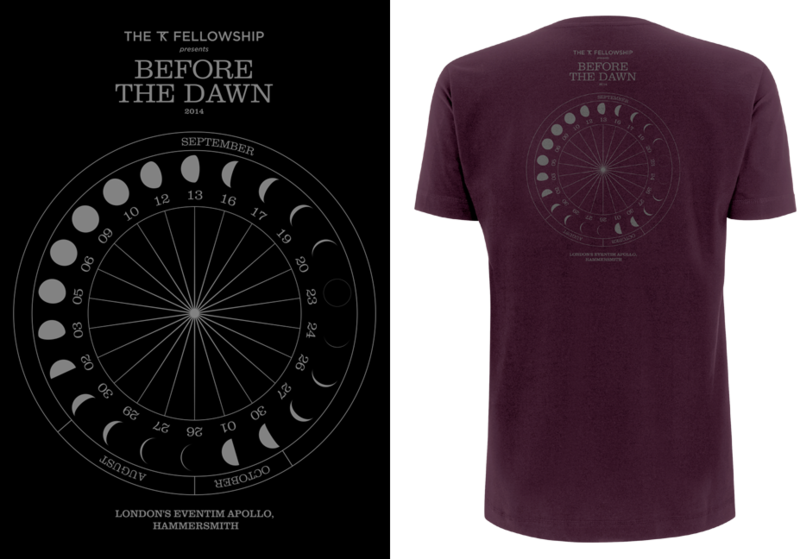 Working closely with Firebrand, Kate Bush and her creative team, I oversaw the merchandise creative for her Before The Dawn Tour 2014, her first gig in 35 years. 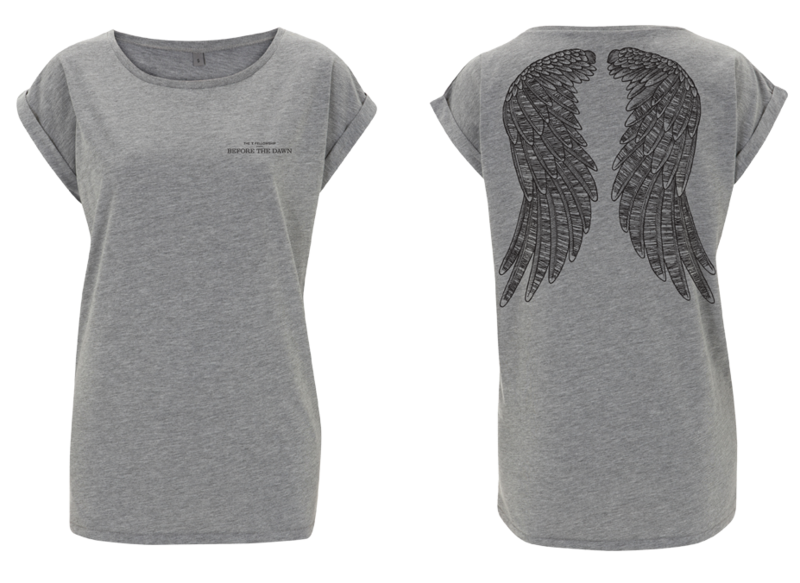 The Right Side designed a number of products that reflected Kate’s vision, including a variety of apparel, a rescue kit and tour programme. 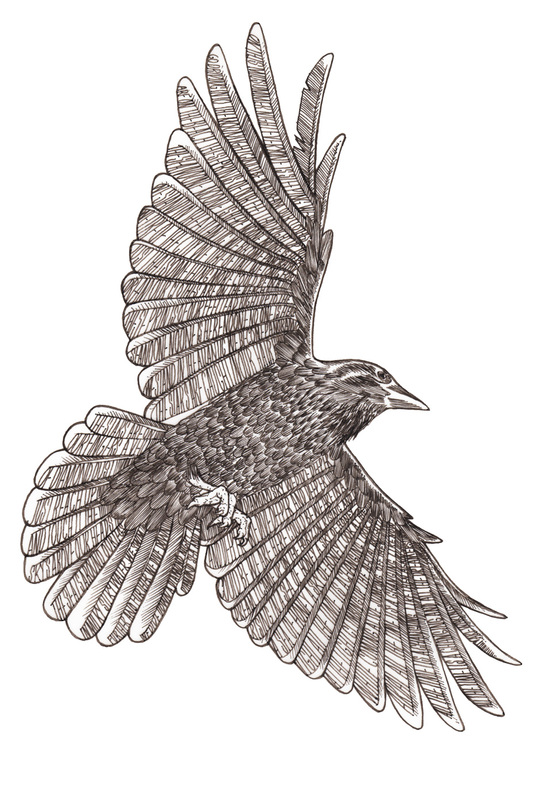 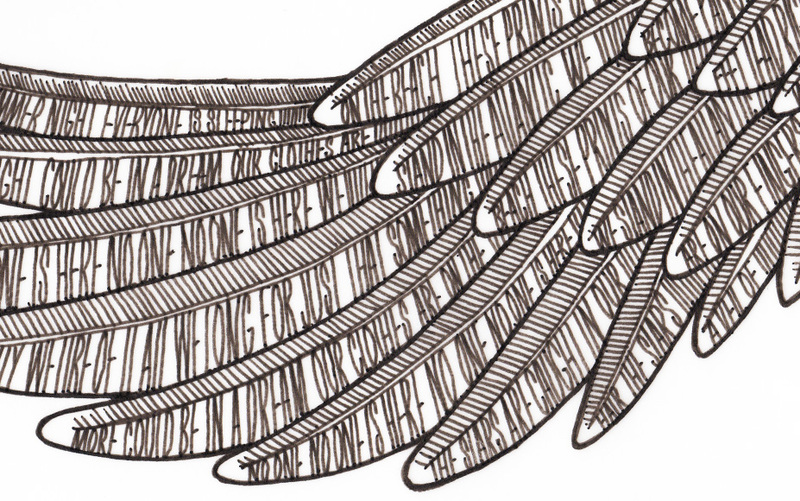 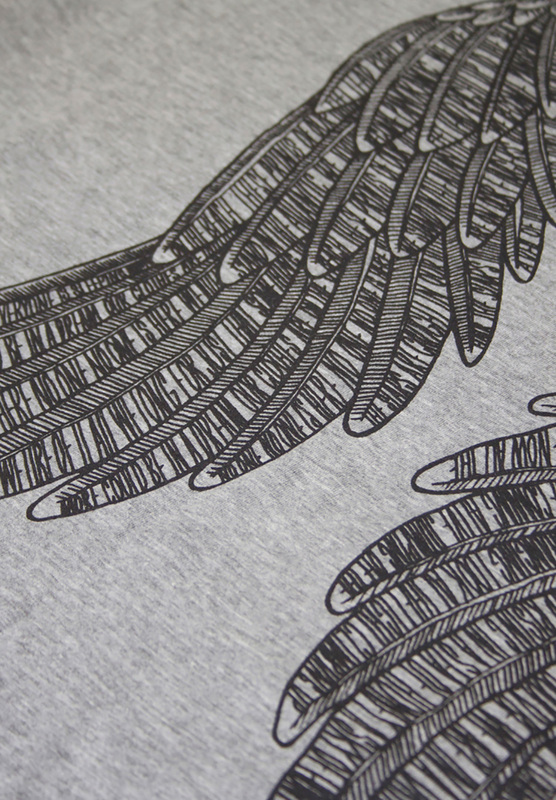 Kate had requested the lyrics to the song Nocturn be illustrated inside bird wings which, can be seen here as an initial concept within a blackbird and the final chosen pair of wings on the back of the t-shirt. 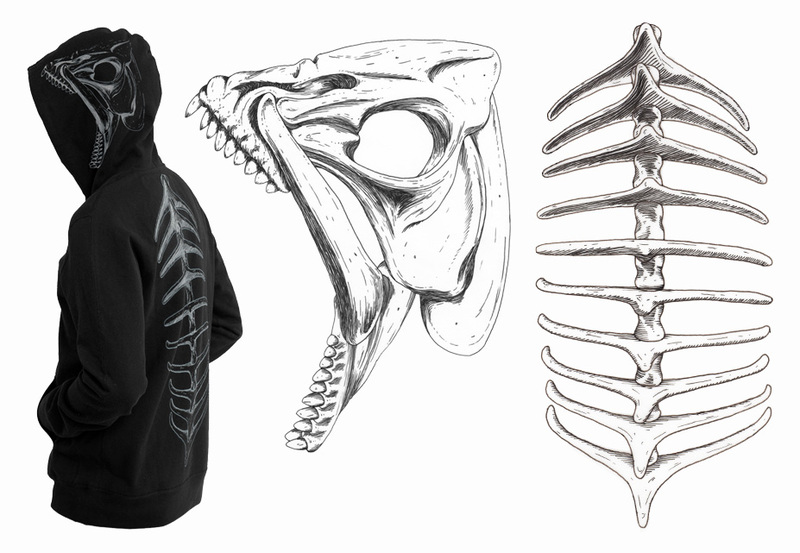 I also worked on a hoody design featuring a fish skeleton image from the performance and a tour t-shirt backprint.